A-Boards, also known as A-Frame signs, are a great, portable way of displaying your information. 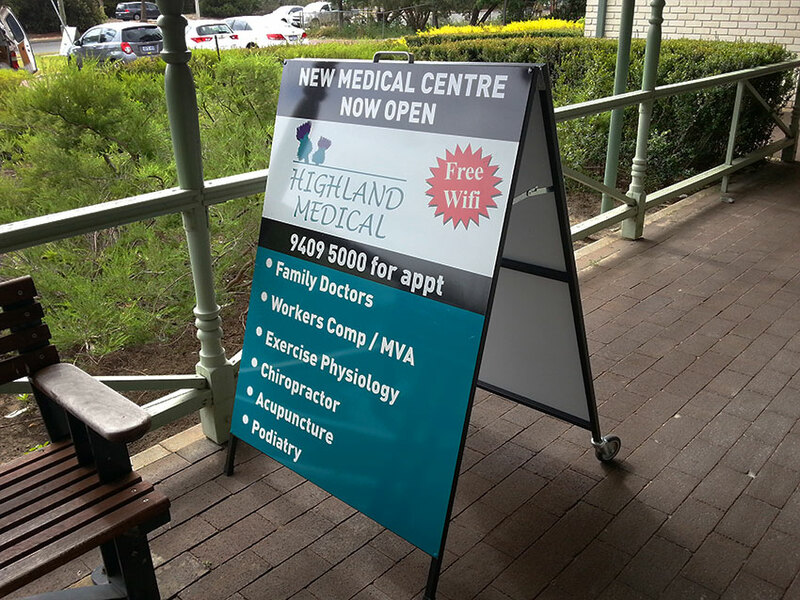 The two most common sizes for A-Board signs are 600mm (w) x 900mm (h), and 900mm (w) x 1200mm (h). Both sizes are available with wheels and they can have whatever information you require on them. 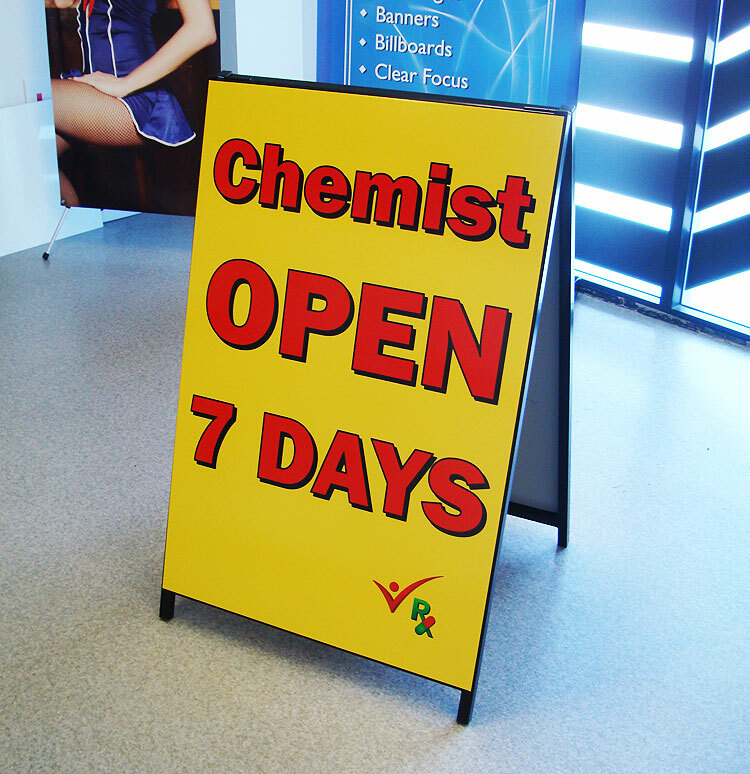 With our long-lasting UV process, we can print full colour signs or leave your A-Frame sign as plain as having a blackboard panel. 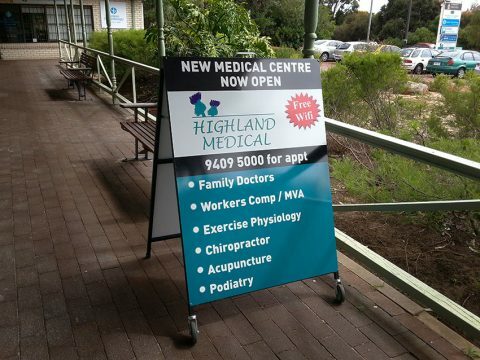 If you need an A-Board or A-Frame sign, then see the experts at Perth Graphics Centre today. 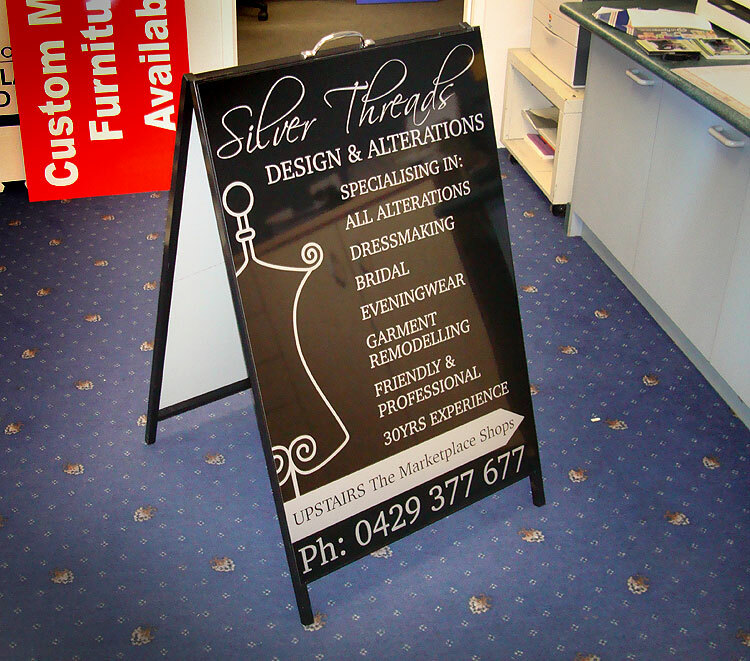 An A-frame sign is a freestanding, double sided sign which sits in the shape of the letter “A” – as the name implies. The beauty of an A-frame is its able to be moved if necessary, but still has enough strength to withstand light wind and rain. A-frame signs are usually placed outside a shop front to draw customers inside. We can incorporate blackboard faces for either part or all of it, or whiteboard if need be. We’ll be happy to send you a quote over the email, so enquire today about A-frame signs. If you’re after a portable, light-weight solution to attracting more customers, A-Frames could be the way to go. These signs are made with Colorbond faces and powdercoated galvanised frames and come in various sizes. 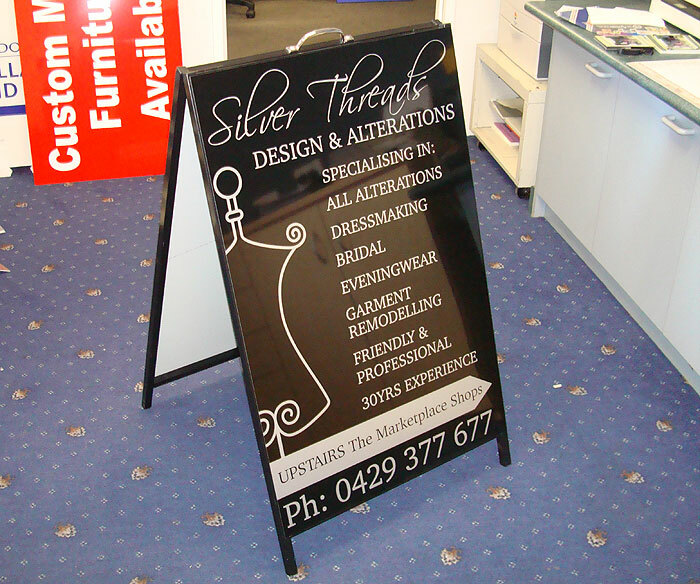 There are also custom A-Frames which can be made, whether portrait style or landscape style. 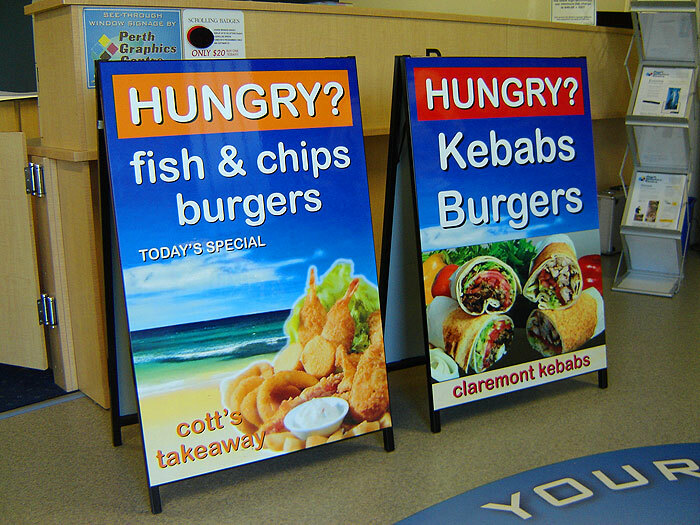 You can have plain text or even full colour digital prints – the choice is up to you. Pricing is dependent on the size, and there are quanitity discounts for ten A-Frames or more. 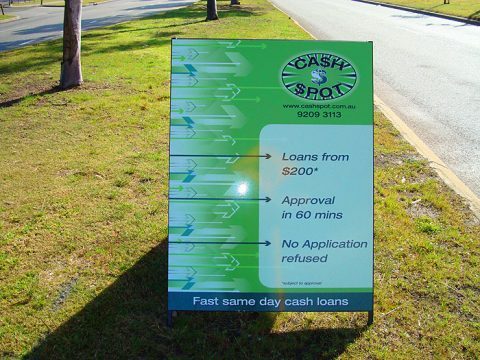 Head to our contact page to ask for a quote.